Deep brown mica art glass provides the background for the intricately detailed filigree on our Wilderness table and floor lamp combo set. A stately bull moose stands watch over his herd against a glorious backdrop featuring a lake, trees and a mountain range on the horizon. 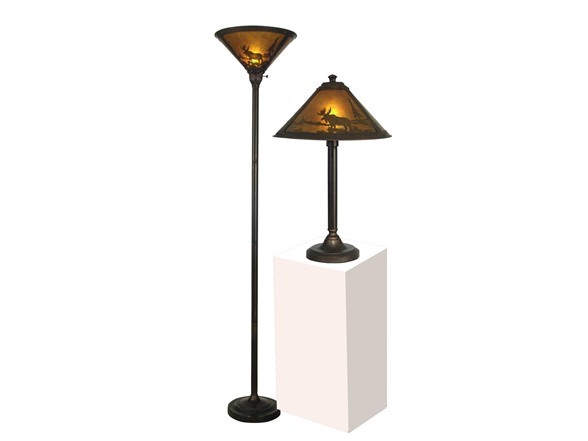 The metal base is finished in Antique Bronze for a robust, virile look. This lamp set makes a perfect gift for the Hunter or nature lover and is an excellent addition to any study, office, den or man cave.